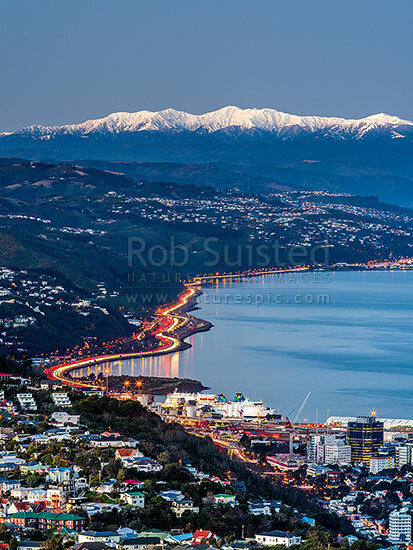 Wellington City and Harbour with snow covered Tararua Ranges above SH1 and SH2 traffic to the Hutt Valley. Wadestown, Thorndon and Kaiwharawhara in foreground. Winter dusk, Wellington, Wellington City District, Wellington Region, New Zealand (NZ), stock photo.